The Taiwanese manufacturer Asus always comes with a unique selling point when it comes to launching their products. If you really remember, the company earlier used to focus on design innovation and launched some really cool devices such as Bamboo series, Transformer series, Vivo Book and MemoPad are just to name a few. Since past couple of years, the company has not only considered on design front but also brought some really cool feature, which was loved by its customers and followers. Now the company has come up with ‘world’s first live streaming beautification technology’, which allows users to take live videos for social media using the BeautyLive app that removes blemishes from user’s skin. 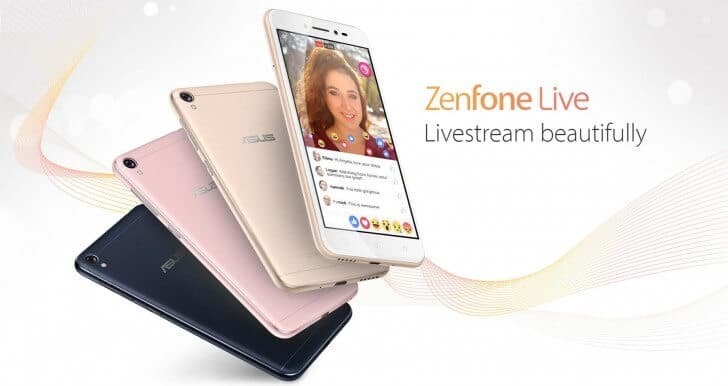 ASUS today launched ZenFone Live, a new mid-range smartphone for the Indian customers; it will be available via offline as well as online retailers and can be purchased by just spending Rs 9,999. In terms of specification, it comes with 5 inch HD display with quad-core Qualcomm Snapdragon 400 processor coupled with 2 GB RAM and 16 GB internal storage. The internal storage capacity seems to be low but it can be extended up to 128 GB via micro SD card. The dual SIM smartphone is equipped with a 13MP rear sniper with a f/2.0 aperture and dual-LED flash, while there is a 5MP front-facing camera with a soft LED flash for capturing lightful live videos for the social network. On its connectivity front, the device has 4G VoLTE, Wi-Fi 802.11 b/g/n, Bluetooth v4.0, FM radio, and GPS/ A-GPS. The smartphone draws power from a 2650mAh.